Whether you’re launching a new product or service, or just want to get to know your existing customers better, holding a focus group is a great way to gain valuable insight into the needs of your target audience. Bringing a group of potential customers together for an hour or two at the outset of a project can save you significant time and money in the long run. Research conducted with a focus group can also prove useful if you’re seeking backing for your project, providing evidence of that gap in the market you’re looking to fill. Reaching out to your customers doesn’t have to be hard. 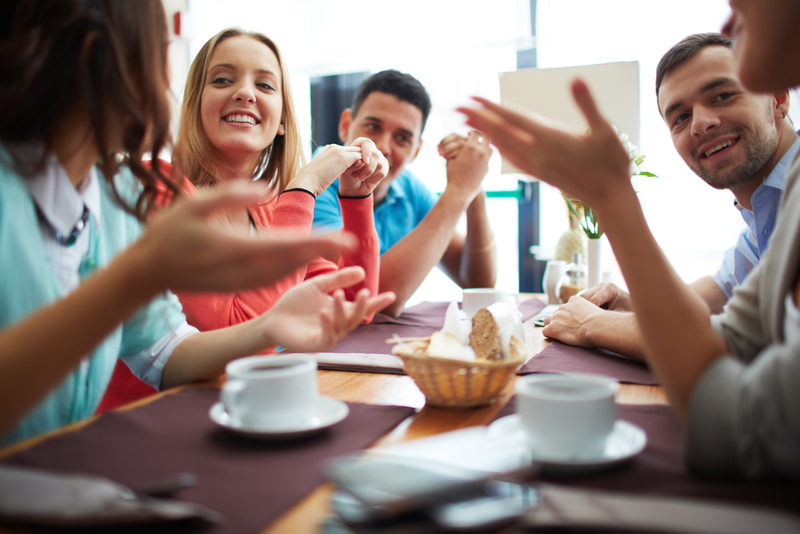 Follow our simple 7 step guide to running a successful focus group event. Before you can start gathering participants, it’s important to understand why you’re organising the focus group. What are you hoping to find out? Are you trying to establish a market for your product or idea? Do you want direction on marketing to a particular group? Do you wish to understand how you can provide a better service to existing customers? Setting clear goals in the beginning will provide you with a roadmap for planning your focus group. Now your goals have been set you will have a clearer idea about who you need to invite to participate. Demographics to consider include gender, age range, ethnicity, sexual orientation, postcode, religion, relationship and family status, education level, professional status/income level and hobbies/interests. You may wish to hyper target i.e. Asian housewives aged between 30-60 who enjoy cooking, or it might better suit your purposes to have a broad cross section. You can always drill down later into different groups and gain deeper insight. Once you know exactly whom you are trying to target, you will better understand where to reach out to those individuals. You will not require a fancy venue for your focus group, simply somewhere that is easy to find and access. Public transport links are important – a venue close to a train or underground station or a bus stop is ideal. However, if some participants are likely to be driving, it’s important to consider car parking arrangements. They will no doubt resent having to pay £5 to park in a multi storey, so either chose a venue with free on-site parking or agree in advance to cover participants’ expenses. Good value venues include church halls and community centres, schools or colleges, a meeting room in a business centre that can be hired by the hour or even your own offices. The ideal duration of a focus group is between 60-90 minutes. When setting the time and date for your event consider what would be most convenient for your target audience – after work or during school hours, or maybe even on the weekend? Be sure your date doesn’t clash with anything that could be detrimental. If you’re targeting football fans, you won’t want your group to take place at the same time as an important match! You can use Eventbrite to set up a free event page, providing your participants with full details of your focus group and the opportunity to secure a place via the registration facility. Eventbrite’s ‘Custom Questions’ feature enables you to collect demographic information at registration, ensuring attendees are properly qualified to take part. The ideal size for a focus group is 10-15 people – any more than that and not everyone will have the chance to provide proper input. Aim to confirm 15 participants and you’ll be covered for the inevitable 10-20% of no-shows. In order to incentivise people to take part, and thank them for their time, it is usual to offer a moderate gift, such as a £25 gift voucher for a popular restaurant chain or store. You should also offer your participants refreshments (tea, coffee and biscuits as a minimum). Your adverts should make these incentives clear, as well as the date, timings and location of your event. You can reach out to potential participants with flyers, posters, emails or advertisements distributed via targeted locations such as clubs and groups, schools, workplaces, community centres, gyms, churches, libraries, post offices, shops, local newspapers and online forums. For example, if you wish to target pregnant women, you could put posters up in doctors’ surgeries or post in a pregnancy forum online. Questions should be clearly worded, to the point and ask only one thing. For example, asking how the smell of the washing powder and the packaging design influence a participant’s buying decision is asking for two different things and should be split into two questions. The ideal number of questions is between eight to 12 – you need to ensure there will be time for every participant to answer. Ideally, the focus group is conducted by a team consisting of a moderator and an assistant moderator. The moderator facilitates the discussion, while the assistant runs the video camera and takes notes. After greeting each group participant and providing them with nametags, the moderator should begin by sharing information about the focus group including the goal of the event and how the information will be used. Next, set the ground rules for the discussion, such as raising your hand before sharing a comment and pose an ice breaker question, such as “what did you have for breakfast today”, just to get people talking. It is good moderator practice to paraphrase and summarise long, complex or ambiguous comments. It demonstrates active listening and clarifies the comment for everyone in the group. At the end of the session, thank the participants for attending and hand out the incentive. Transcribe the answers recorded on the video, cutting out anything unnecessary and boiling down to the essential information. Enter the answers to each question into a spreadsheet and begin to analyse the data by organising the responses into categories. Assign each answer to a category. Using this method, you can then easily see which category has the most responses and identify common themes. Finally, you should write a report outlining the major findings and conclusions, as well as the subsequent recommendations for your business or product. Running a focus group will provide you with invaluable business intelligence and could give you an advantage over your competitors. However, you should bear in mind that you might need to host more than one (using the same questions) to obtain thorough results. When you’re not hearing anything new anymore, you’ll know you’ve reached a saturation point!